Luxury Lake McQueeney Home. Gated entrance. Built in 2014. Home features exquisite attention to detail. 26’ ceilings. 4577 SqFt. to include 4 Bedrooms, 5 Baths. Beautiful chef Kitchen with island and Premium Appliances. Floor to ceiling windows for lots of light and view of the lake in Great room and Dining. Rock Fireplace. French sliding barn doors. Upstairs Loft to include a Rec room with authentic barnwood ceiling and wall of bunk beds for family and or guests. Two 19-foot Cantina doors. Outdoor Kitchen. 800sq ft back porch. Backyard paradise. In Ground Pool. A spectacular Boat Dock and Sundeck with 1200 sq feet with WiFi stereo, fully landscaped, commercial LED tree lights, sprinkler system. Home sits on a high elevation. 100′ waterfront. 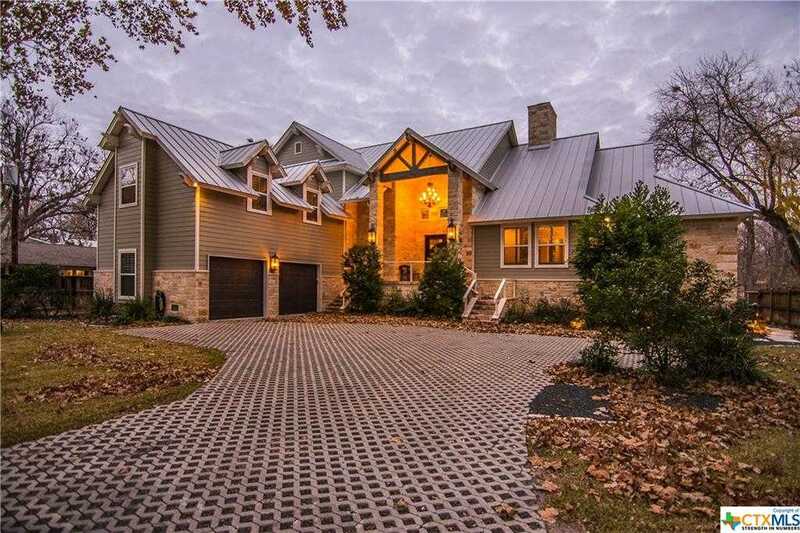 Please, send me more information on this property: MLS# 369046 – $2,349,777 – 2359 Terminal Loop, Mcqueeney, TX 78123. I would like to schedule a showing appointment for this property: MLS# 369046 – $2,349,777 – 2359 Terminal Loop, Mcqueeney, TX 78123.